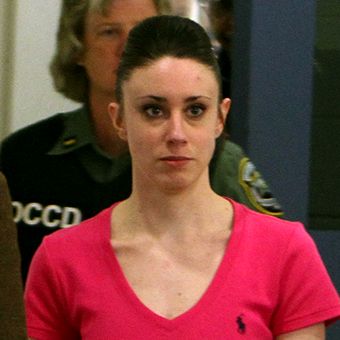 Is Casey Anthony a hot media property set to make millions of dollars as a consequence of murdering her little daughter Caylee and yet getting away with it? It seems that Casey might well be secretly visiting prospective buyers, producers, and promoters in the company of a member of her legal team, Todd Macaluso. Since her release from jail in Florida, where she been for three years, Casey Anthony has vanished but could be in Carlsbad, CA., according to a Tuesday morning report on NBC’s Today show. Tracking the ownership of the Pilatus PC-12 private jet that whisked Anthony, 25, out of Orlando to points unknown last Sunday morning, NBC News pointed to California attorney Todd Macaluso, who at one point had been a member of Casey’s defense team and had given her $70,000. There are also reports that Macaluso, who did not speak to NBC for the story, left Anthony’s defense team early last year after running into trouble with the California Bar. The plane carrying Anthony is believed to have taken a circuitous route before landing at John Wayne Airport, in Orange County, CA, said NBC. Reports are that the IRS has placed a tax lien against Casey, and that one of her schemes might be to hold a pay-per-view TV interview. Nobody except the guilty and complicit want to see Casey prosper as a result of murdering her child – how can this be stopped?